Description: The new version of the UBW32 now uses the PIC32MX795 IC. 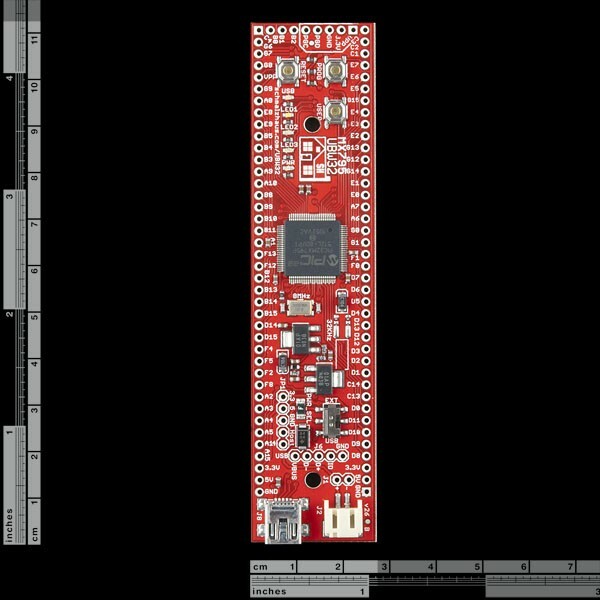 Based on the work of Brian Schmalz, the UBW32 is a small development board for the new PIC32MX795 32-bit CPU from Microchip. 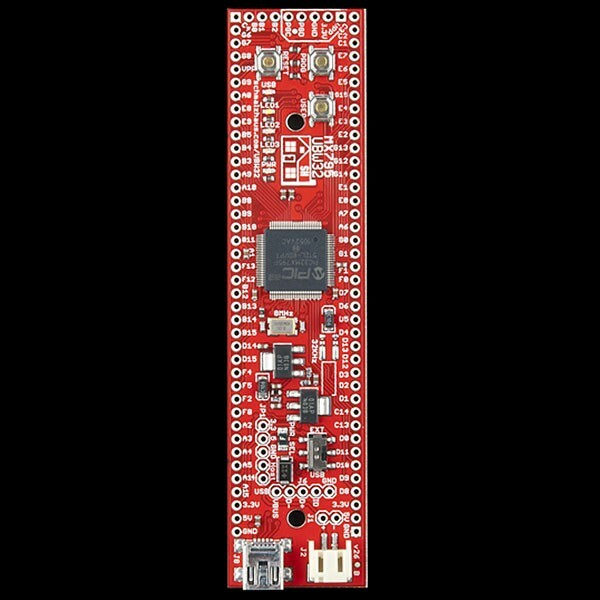 The UBW32 is breadboard friendly and includes all of the external circuitry needed to get the PIC32 up and running. Power can be provided over USB or from an external source. 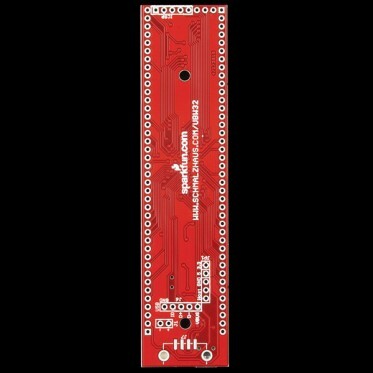 It has 3 push buttons (Reset, and 2 user-defined buttons) and 5 LEDs (Power, USB, and 3 user defined LEDs). All of the 78(!) of the PIC32's I/O pins are broken out. 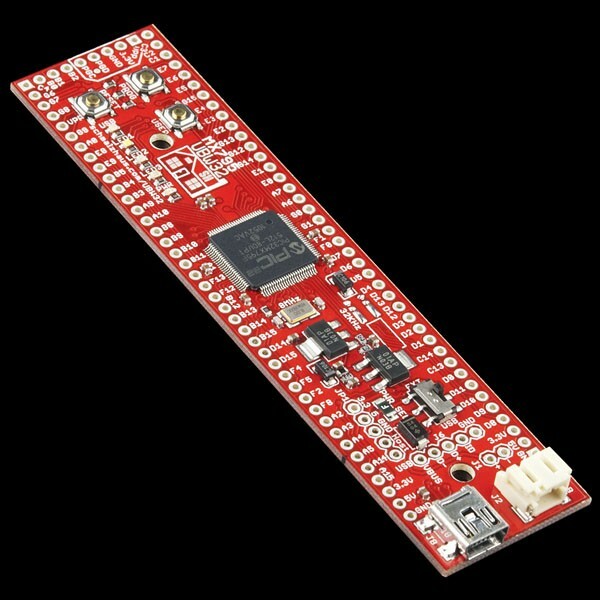 The board comes pre-loaded with a USB bootloader and special UBW firmware that accepts simple serial commands to control the various I/O functions.